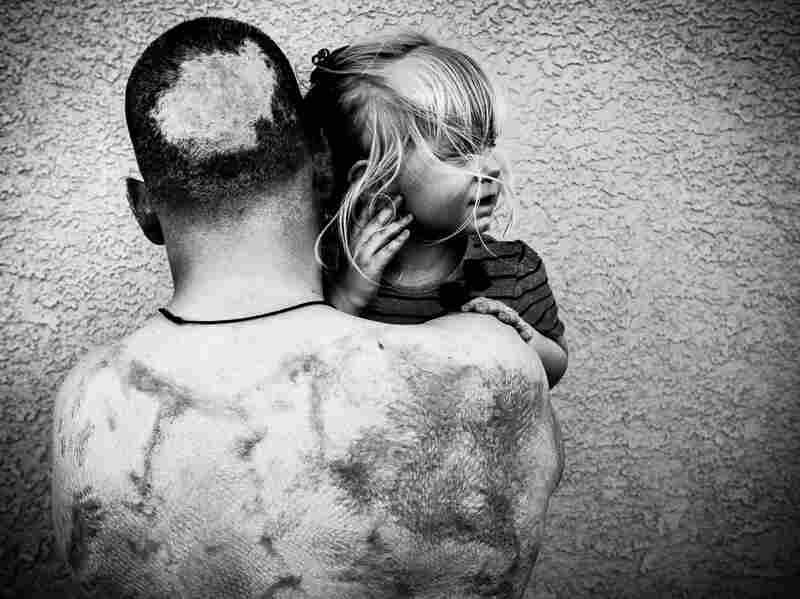 It's Not Rude: These Portraits Of Wounded Vets Are Meant To Be Stared At "I take these pictures so that we can look; we can see what we're not supposed to see," says photographer David Jay. "And we need to see them because we created them." In 2011, Nicholas Vogt, then a first lieutenant, was severely injured by a roadside bomb while on foot patrol in Afghanistan. 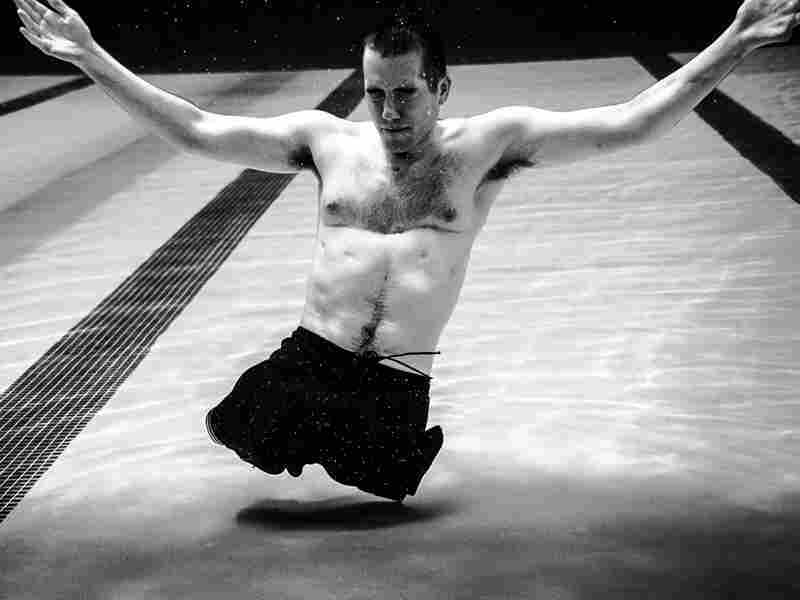 He says, "The only thing that I want to pass on is this: Losing limbs is like losing a good friend. We wish we could still be with them, but it wasn't 'in the cards.' Then we get up, remember the good times, and thank God for whatever we have left." Spc. 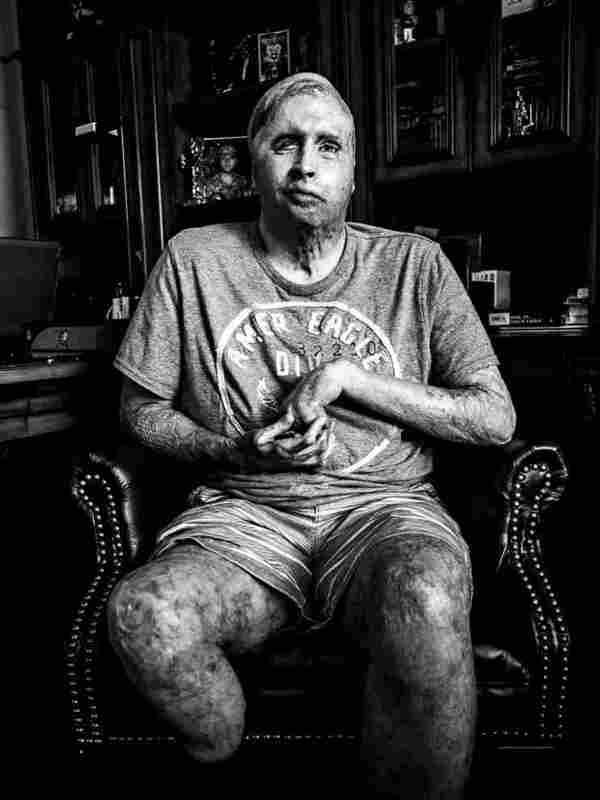 Robert Bernier sustained burns over 60 percent of his body after he was hit by incoming artillery. He appears here with his daughter Layla. Staff Sgt. Robert Henline's transport was hit by a roadside bomb in Iraq. He was the lone survivor. 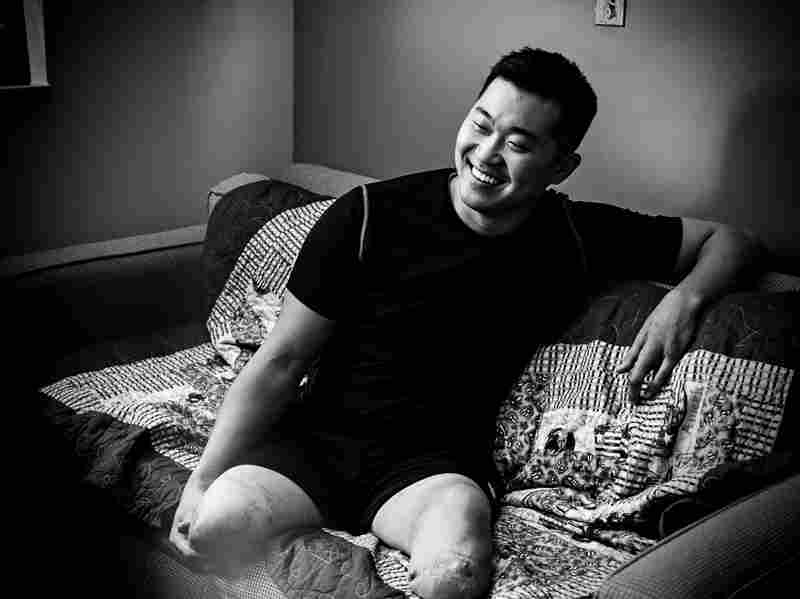 On Dec. 13, 2012, while on a foot patrol in Afghanistan, 1st Lt. Jason Pak was hit by a roadside bomb. The blast took his legs and part of his hand. Spc. 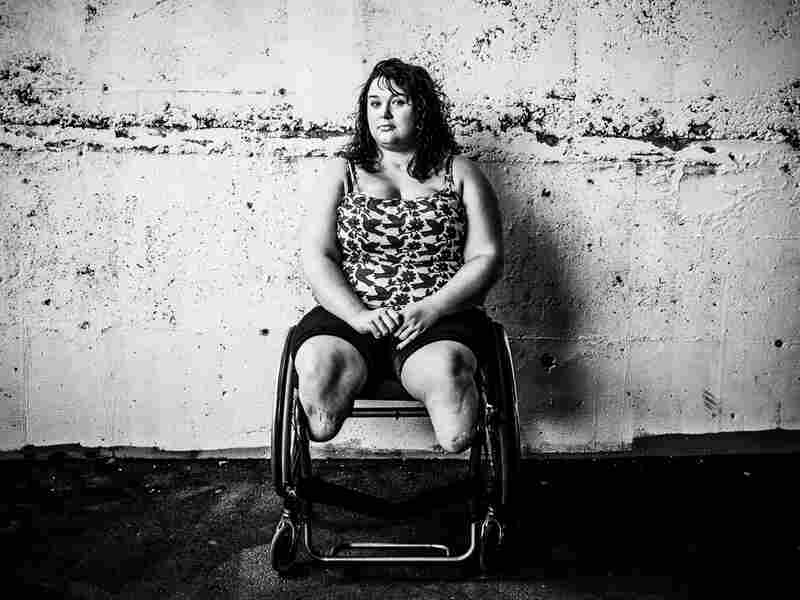 Marissa Strock was 20 when her vehicle was struck by an IED. Sgt. Joel Tavera, now 26, was severely burned and blinded and lost a leg in Iraq at age 20. More than 90 surgeries later, he has this to say about his journey thus far: "Looks are deceiving. ... What looks like a half empty glass is actually three-quarters full." On June 8, 2013, Maj. Matt Smith was shot, along with five others, by a member of the Afghan National Army. 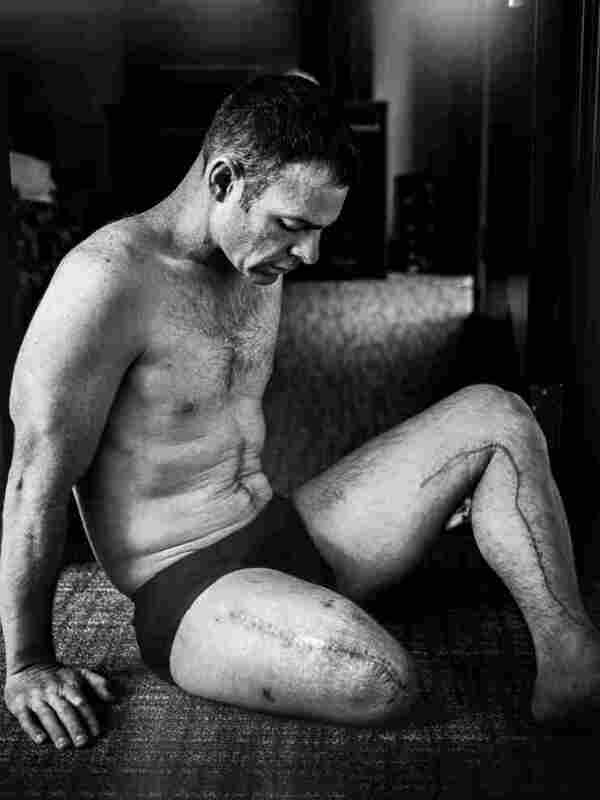 The bullet severed his femoral artery, resulting in the amputation of his leg. Staff Sgt. 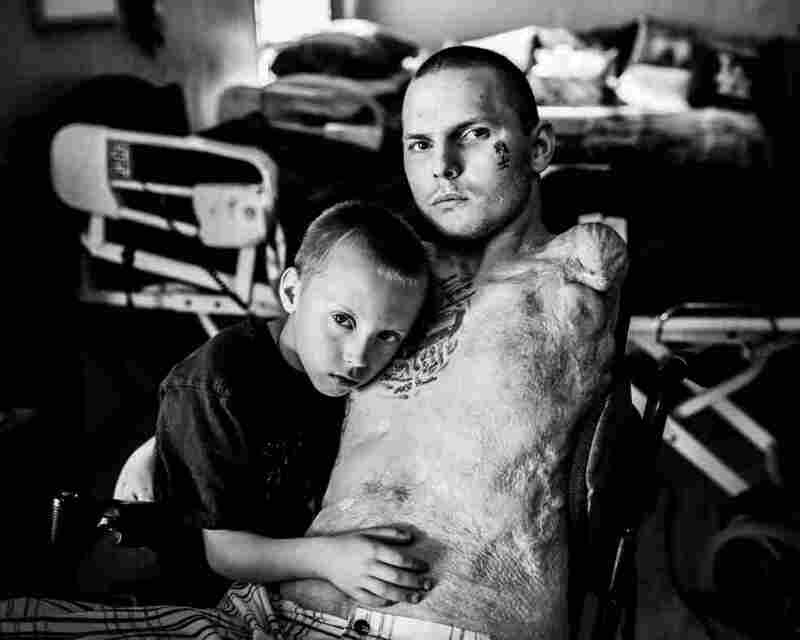 Shilo Harris was severely burned on Feb. 19, 2007, by a roadside bomb that weighed an estimated 700 pounds. Only Harris and his driver survived the blast. "I wanted to make sure there was action, it was movement. Because I didn't want to portray myself as someone that's just waiting for medical retirement and going to be stationary for the rest of my life." 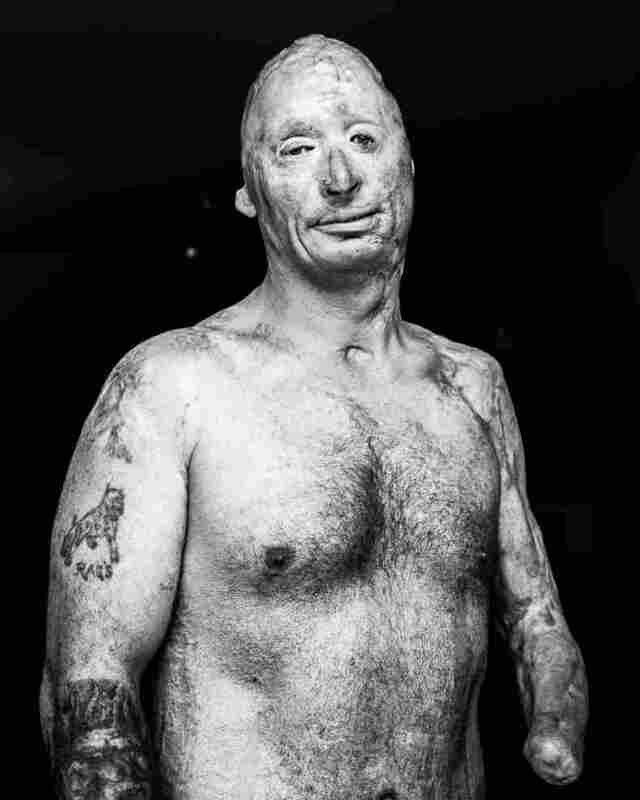 About a year later, Jay was back at Walter Reed and from across the room he heard someone yell, "Hey, photographer!" This time, Vogt wanted to participate. He'd been working hard at his recovery and seeing results. He was swimming a lot and he had a girlfriend (a nurse at Walter Reed who is now his fiancee). Vogt gave Jay permission to take his picture, but he had some parameters. Army Spc. Jerral Hancock sits for a portrait with his son Julius. 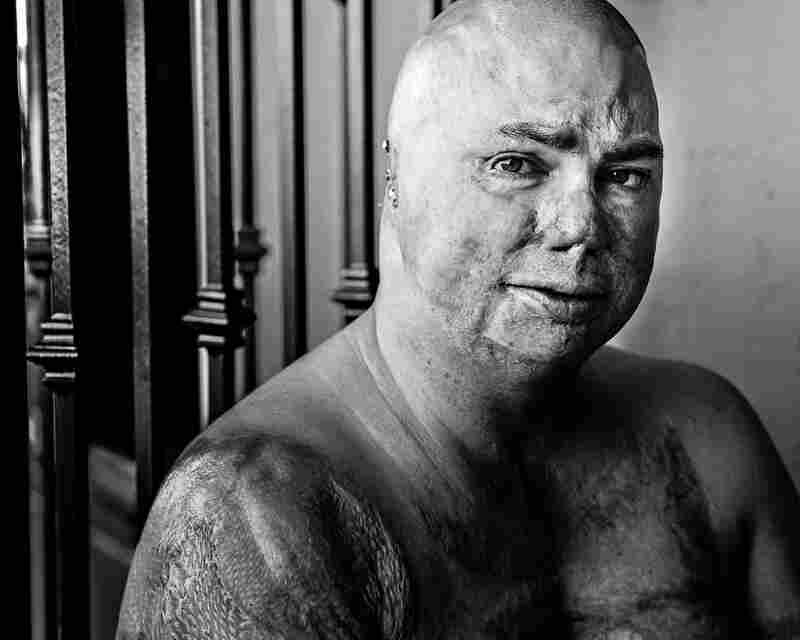 It is believed that Hancock was trapped under the wreckage of his Army tank in Iraq for half an hour before he was rescued. Take Army Spc. Jerral Hancock: On his 21st birthday, a roadside bomb hit the tank Hancock was driving in Iraq. The explosion sent shrapnel into his spine, paralyzing him.